Fees matter … a lot. The average 30 year old can expect to lose one quarter of his or her retirement savings in fees if he or she has the misfortune to be invested in a high-fee super fund. For the average male, that equates to one-quarter of an expected $1 million in super at retirement, for the average female $203,000 of $855,000. Compared with low-fee funds, the difference in performance is stark. By switching from a fund charging 2 per cent to one charging 0.5 per cent, a 30 year old can increase the super they enjoy in retirement by 41 per cent. As reported here on Saturday, the yearly fee-take from fund managers is $23.5 billion from the $2 trillion swishing about the superannuation system. According to Stockspot’s annual Fat Cat Funds Report, which covers 3390 funds, representing about a quarter of the system, the greatest determinant of fund performance is fees. Stockspot, a purveyor of ETFs (exchange traded funds), ranked these funds into five sets of cats: Fat Cats, Flabby Cats, Fair Cats, Fine Cats and Fit Cats. Fat Cats are the worst offenders on the fee front and poorest performers on returns. Again this year, ANZ and its investment platform OnePath had the greatest number of howlers, accounting for 277 of the 701 Fat Cat funds. CBA/Colonial was second with 67, thence AMP/AXA 64, Westpac/BT 60 and NAB/MLC with 39. In other words, the big four banks and AMP are the culprits who reap the fattest and most undeserved profits from Australian superannuants. On the other hand, the best performers – those with the most Fit Cat funds – were in order of performance, Anton Tagliaferro’s Investors Mutual (10 of 11 funds), Lazard Asset Management, Retail Employees Super Trust, Legg Mason Global Asset Management, SG Hiscock and Vanguard Investments Australia. Anybody keen to see the relative performance of their own fund can do so here. To be fair to ANZ, it does have better performing funds, and it is by no means alone in charging lavish fees for listless performance. Still, those with savings in one of ANZ’s hairier options might inquire of departing chief executive Mike Smith – among the most handsomely remunerated of the bank chief executives, taking $10.7 million last year after bonuses – if he too is along for the ride with his customers in one of ANZ’s Fat Cat options. 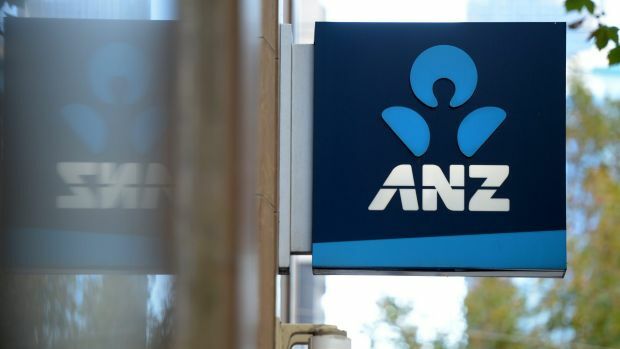 A spokesman for ANZ said “the majority of customers invested in the Vanguard investment option in the nil entry fee OnePath OneAnswer fund (one of the Fat Cats) pay an investment fee of around 1.2 per cent (not 1.97 per cent) because they have been in the fund for more than four years. In addition, she said, a large number of these customers would be eligible for further discounts based on their level of investment, further reducing the investment fee they pay. Don’t hold your breath; we were told this was happening this time last year. Among other interesting findings, retail super funds performed better than industry funds before fees but worse after fees which demonstrates that good returns are meaningless if eroded by fees. Retail super had a greater percentage of Fat Cat fees than industry super in every category except Australian property. Generally, Stockspot founder Chris Brycki found performance lagged for funds under $250 million in size, again “entirely due to fees”. Overall, there was $53.5 billion in Fat Cat funds, or a fifth of all funds analysed, and 72 per cent of Fat Cats hailed from AMP and the big banks. What can be done about this pestilence of fees? After all, if people have more money in retirement they are less of a drag on the pension system. Last year’s Grattan Institute report estimated super fees could be halved and save $10 billion a year. Further, it advocated a competitive tender process like Chile, and that super fees and performance should be more easily compared, like New Zealand. As the bank lobby won’t like it though, sensible reform is unlikely to happen any time soon. Further to the unhealthy stranglehold the Big Four banks have over the superannuation market, as they control distribution via their wrap platforms there is another unnecessary layer of costs to consumers. Looking at popular fund Platinum International; on its own, it returned gross 70 per cent over five years. On average however, with the bank platforms, it returned 11 per cent less (or 59 per cent net) due to fees. In some cases the platform fees are higher than the funds themselves. Platinum International charges 1.54 per cent per year in fees, which may not be unreasonable given its great long term track record. However the same fund available on the bank platforms is usually 3 per cent plus. Effectively, the price of the fund has doubled by the time it ends up in the hands of consumers. Besides platform fees, advice fees are not counted in fund unit prices either. This is truly a gravy train on gigantic dimensions.